Finance Minister Bob Richards detailed his plans to streamline and in some cases perhaps privatize parts of the Bermudian government at a Bermuda Chamber of Commerce breakfast this morning. Mr Richards is pushing the “Public Bodies Reform Act” - a piece of legislation that would allow his office to abolish, merge, modify or transfer governmental departments, funds, boards, committees and quangos. Those entities could be turned into public service mutual cooperatives, registered charities or trust funds, according to Mr Richards. Mr Richards wants to create an Efficiency and Reform Authority, a board that would be charged with enhancing public services and achieving savings. That board would report to his office and would be comprised of five members of the public and two union members while the finance minister and the board’s CEO would serve in ex officio capacities. Mr Richards hopes to present the proposal before Parliament before the end of this budget session, which is expected to conclude before the end of the month. In other news, both Mr Richards and SAGE (Spending and Government Efficiency) Commission Chairman Brian Duperreault also said pension reform is needed. Both men used the phrase “Promises will be broken” while describing the grossly underfunded pension problems facing Bermuda. According to Mr Duperreault, people younger than 37 won’t receive a pension when they retire at 65 as things stand now. Raising the retirement age and doing away with built in cost of living increases in pensions are realistic options, said Mr Duperreault. 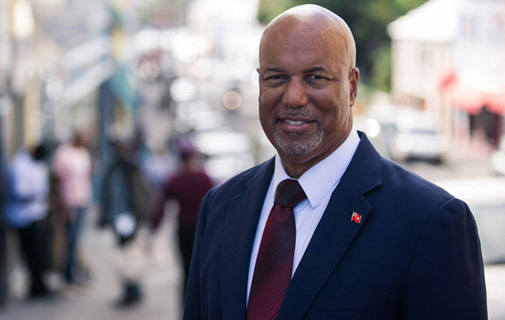 On January 28, 2014 the Premier, the Honourable L. Craig Cannonier M.P., J.P., sent a letter to the members of the Bermuda Trade Union Congress ("BTUC"), of which the Bermuda Public Services Union ("BPSU") is a member, regarding the Government's initiative for Public Service Reform. Also on February 1, 2014, Secretary to the Cabinet / Head of the Civil Service, Dr. Binns J.P. sent an email to all civil servants regarding the same initiative. The Minister of Finance, the Honourable Bob Richards J.P., M.P., met with members of the Bermuda Trade Union Congress ("BTUC') where he discussed the "three baskets" of Public Service Reform (lithe Reform"), Superannuation (Pension) Reform for public officers and his desire to introduce mutualisation. The BPSU would like to make it clear that this cannot be deemed as consultation, as no specifics were discussed at that meeting. The Reform Initiative should not be used as a means to erode jobs, pensions and employee benefits. The BPSU, as a critical stakeholder will make every effort stay abreast of all developments of the Reform Initiative and keep our entire membership informed during each stage of this critical process.